Expatriates moving to Australia will find that they are required to pay their taxes to the Australian Tax Office (ATO). Taxes in Australia are paid in the form of direct and indirect tax at local, state and federal levels. The amount of taxes paid depends on the amount of money earned. It is worth noting that aside from paying for income taxes, expats may need to pay for rates to gain access to Medicare services. Expats who have not gained permanent residency in Melbourne do not need to pay tax on foreign investments, but once they obtain permanent residency status, they will be expected to be subject to tax on their worldwide income and foreign assets. It is important for expatriates who have obtained Australian residency to obtain a tax file number (TFN) which can give expats access to Medicare and other government services. To apply for a tax file number, expatriates can find an application form on the Australian Tax Office website to print out and submit with other identifying papers. Identifying documents to present include a valid foreign passport, a bank account statement from an Australian bank, Australian drivers’ license and an Australian citizenship certificate or Extract from Register of Citizenship by Descent. Selected post offices accept tax file number applications, so after submitting the application, expats will be called for an interview. Expats will receive their tax file number via post within 28 days after their interview. 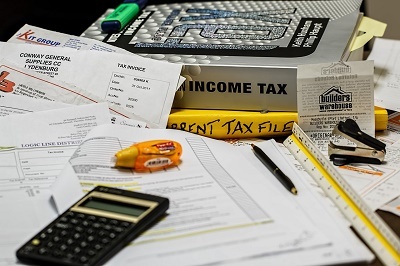 While it is not compulsory to get a tax file number, expats who choose not to obtain one will find that they will be unable to receive taxpayer benefits. Additionally, expats without a tax file number will be deducted a higher rate of tax from their pay. Not having a tax file number can get costly in the long run, so expatriates are advised to apply for one. Property tax is levied at 10% of the assessed value of the property. VAT is levied at 10%.